Today’s episode of The Mission Daily is brought to you by Twilio. More than 2 million developers around the world have used Twilio to unlock the magic of communications. This October, Twilio is hosting SIGNAL, the customer and developer conference of the year. The Mission Daily listeners receive 20% off tickets when going to signal.twilio.com and using code MISSION20. In today’s episode, Chad and Stephanie discuss the state of news, how to find news that matters, and what sort of news you should consume. Chad and Stephanie also cover the process of what goes into The Mission Daily newsletter and how we choose the stories to help you create the best version of yourself. Secrets, everybody’s got them. In this episode, we discuss why they aren’t a bad thing and how you can use your own secrets (and the secrets of others) to reach your goals and improve yourself. So what is this mysterious habit? Well, you should really listen to find out. But I’ll give you a hint: It involves thinking more about what technologies you choose to adopt. To know more (and to learn how to apply that principle), hit play and listen up! In today’s episode, Chad and Stephanie talk about the three most important skills to master for a better life and why people rarely choose to invest time into learning them. In this episode, Chad and Ian talk about how to ethically create money, why Seinfeld almost didn’t get off the ground, and Ian’s favorite chicken recipe. 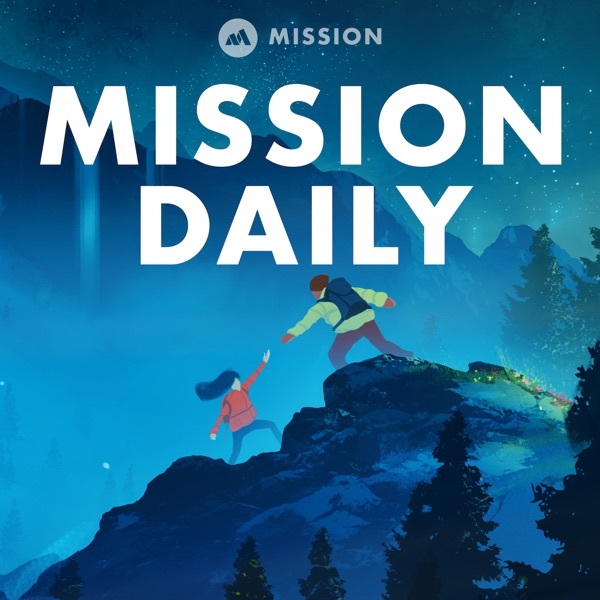 Today’s episode of The Mission Daily is brought to you by Twilio. More than 2 million developers around the world have used Twilio to unlock the magic of communications. This October, Twilio is hosting SIGNAL, the customer and developer conference of the year. Twilio is hosting a 50% off flash sale on SIGNAL tickets today (9/13) and tomorrow (9/14)! Go to signal.twilio.com and use code MISSION10 to get an additional 10% off!" To celebrate 100 episodes, The Mission Daily is re-releasing our first ten-part series on accelerated learning! For those who’ve listened to us from the start, it’s a good opportunity to revisit these important tips for how to be a better you. For those who are new to TMD, this series provides a great jumping on point and education into what, exactly, accelerated learning is. In this episode, Chad and Ian talk about the importance of direct experience and why you need to start living your own life, and not life as experienced through someone else’s filter. Twilio is hosting a 50% off flash sale on SIGNAL tickets today (9/12) and tomorrow (9/13) only! Go to signal.twilio.com and use code MISSION10 to get an additional 10% off!" The Mission Daily will be taking a break from releasing new episodes for the next couple of days. But don’t worry, loyal listener, we have a special something just for you! Over the course of the next two weeks, TMD will be re-releasing our first ten-part series on accelerated learning! For those who’ve listened to us from the start, it’s a good opportunity to revisit these important tips for how to be a better you. For those who are new to TMD, this series provides a great jumping on point and education into what, exactly, accelerated learning is. It’s The Mission Daily’s 100th episode! To celebrate, Chad sits down with philosopher, writer and venture capitalist Riva-Melissa Tez. They discuss how Riva got into venture capital, the future of AI, tech, and why Silicon Valley has a “problem” problem. Chad and Stephanie talk about the importance of real-life experiences and how those experiences can improve your perception of the world. You ask, Chad answers! In this episode, Chad takes questions from listeners about his advice on subjects ranging from how to maintain long-distance relationships to his three most valuable daily habits.